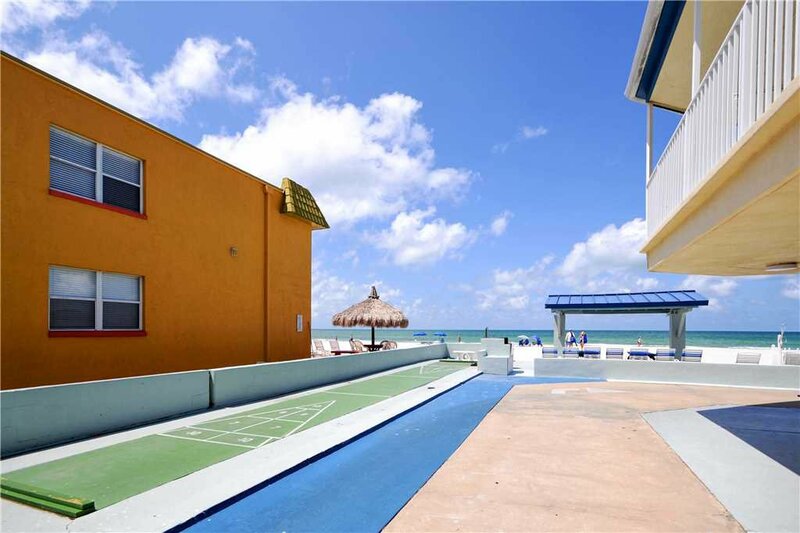 Sea Rocket 8 is on the ground level on the north side of the building. 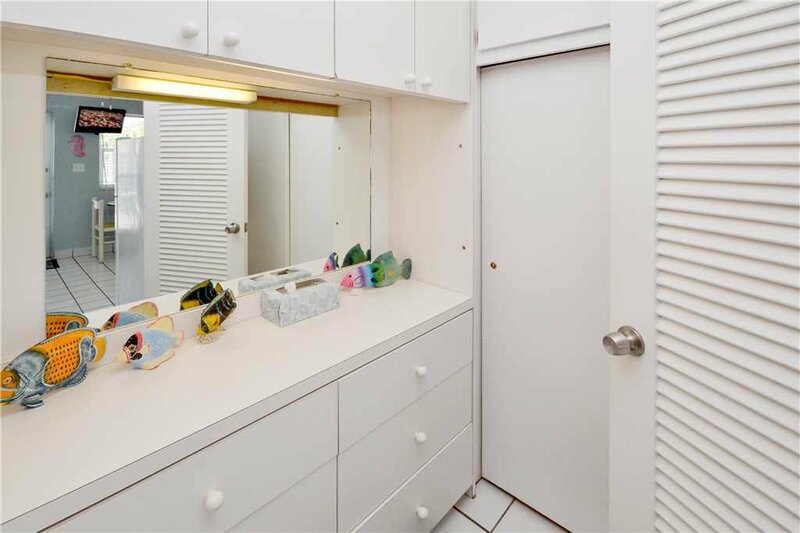 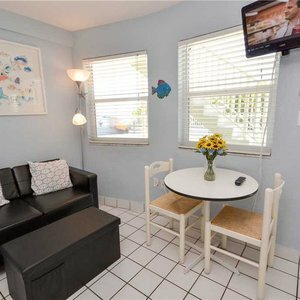 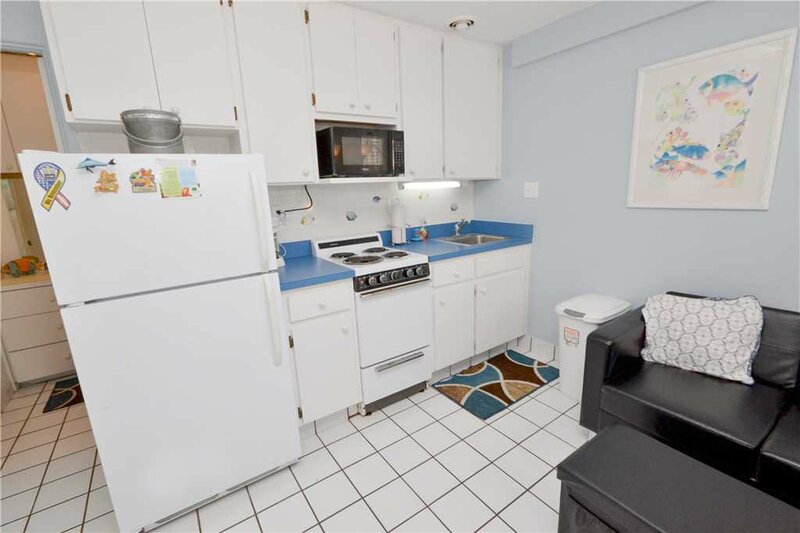 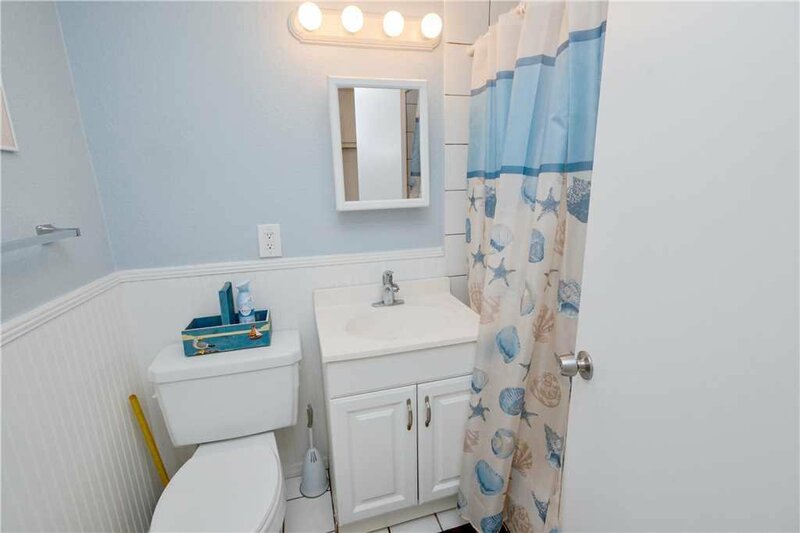 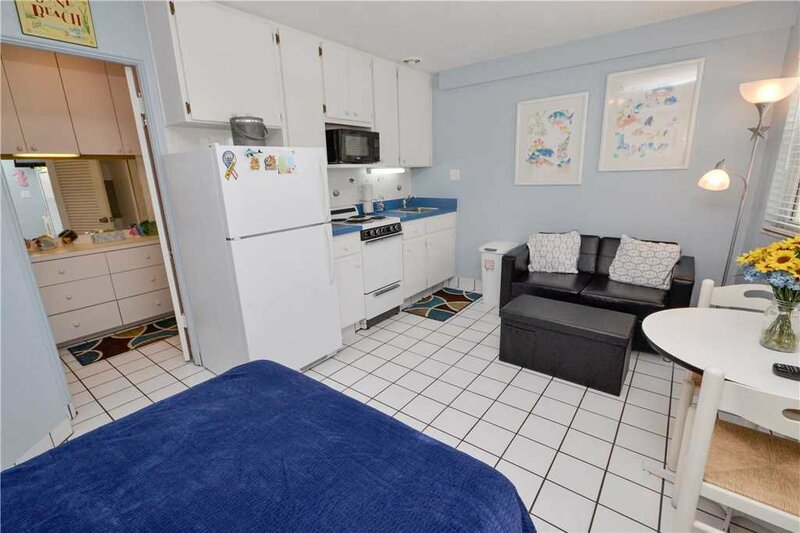 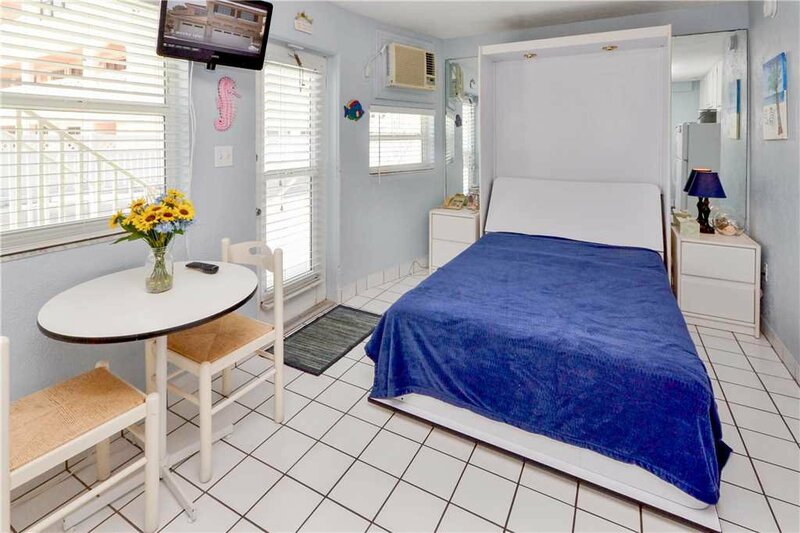 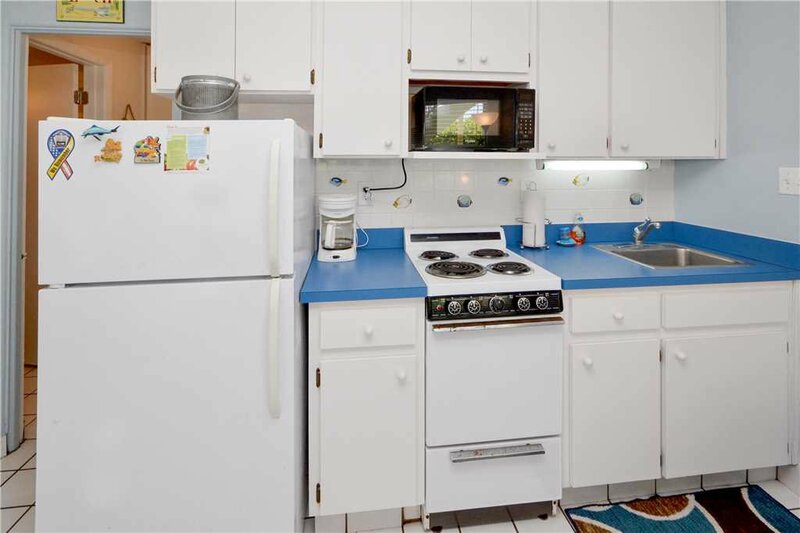 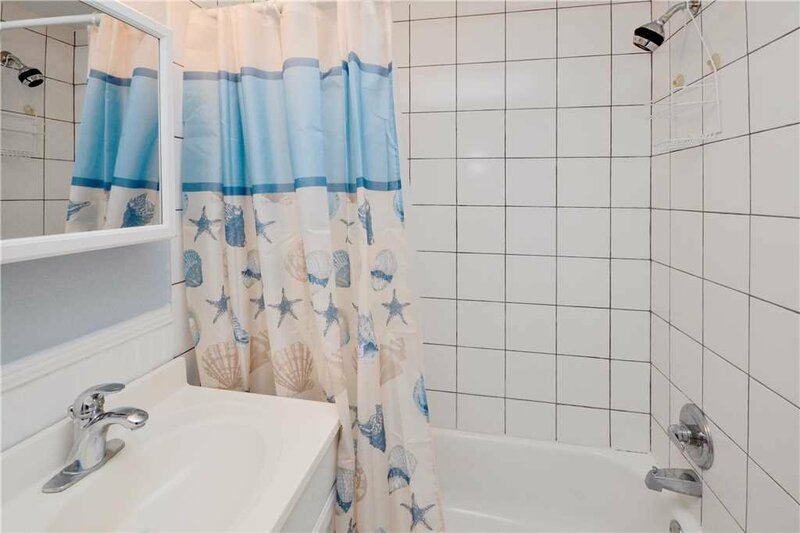 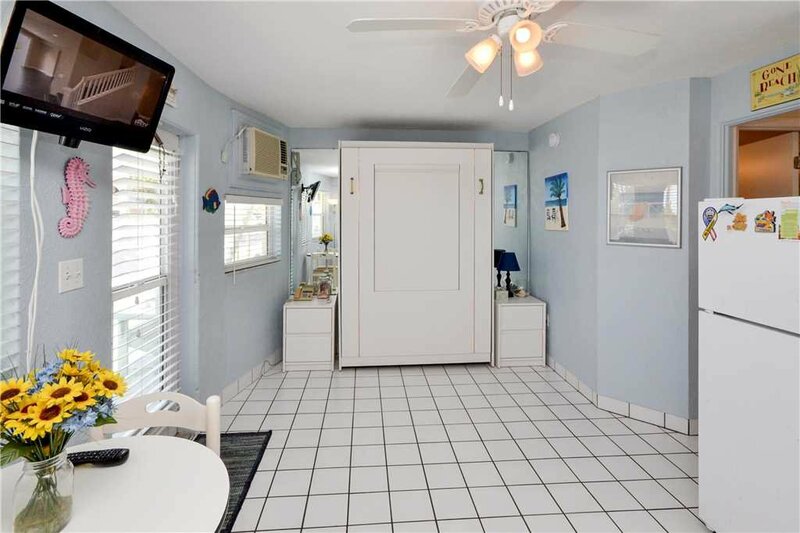 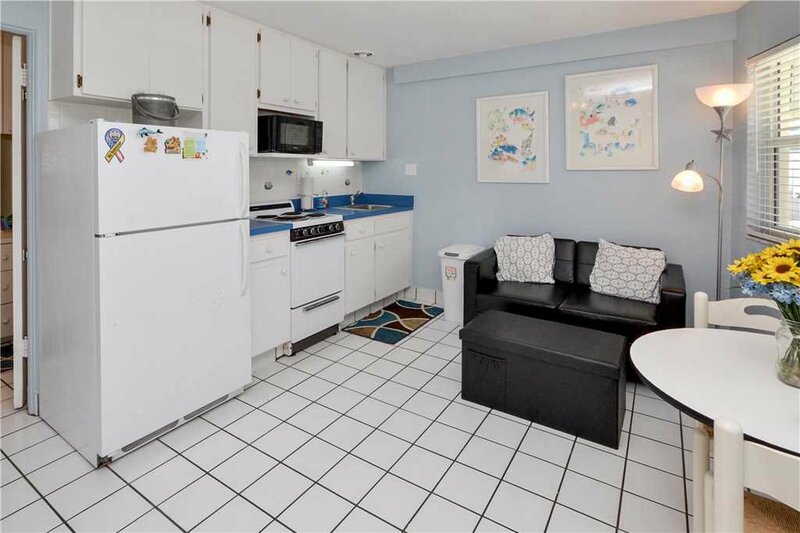 Bright and cheery decor and a double size Murphy bed that sleeps two guests and full-sized bathroom make this a cozy spot for your beach vacation. 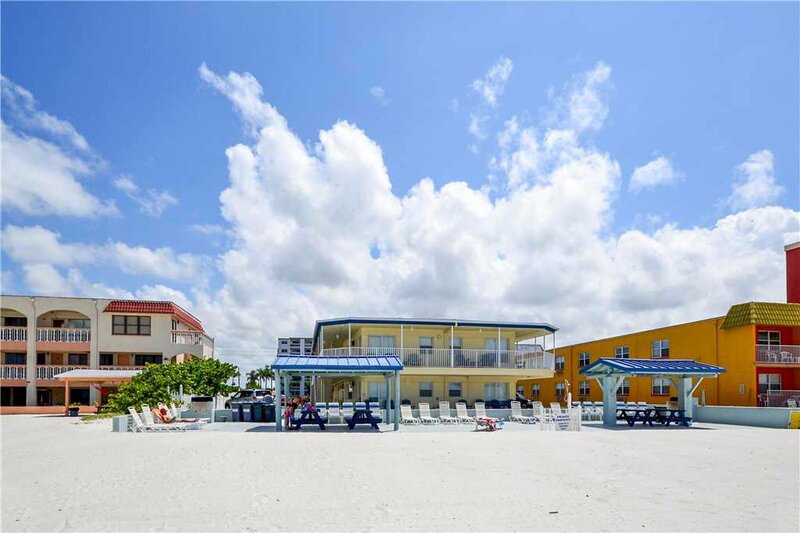 Sea Rocket was built in 1950 and is a gem of a complex located in North Redington Beach where the beach is simply dazzling! 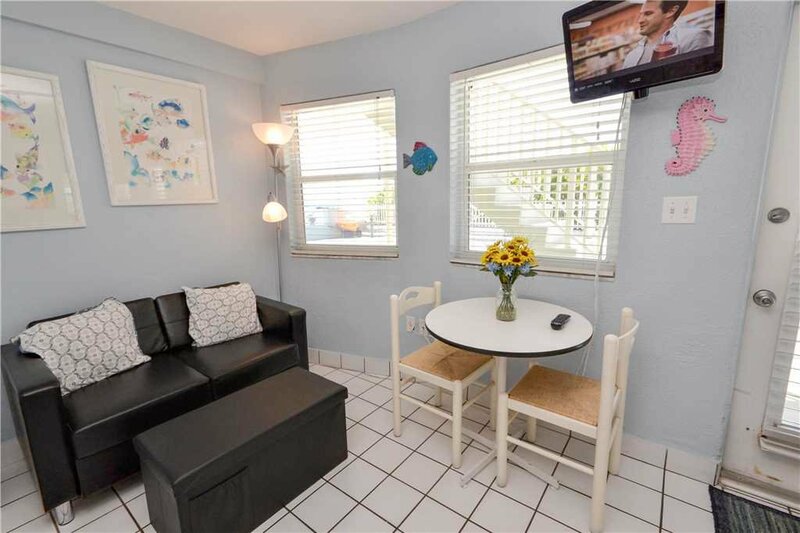 Sea Rocket is a small (30 individually owned units) complex where the condos are small, cute, clean and completely furnished and equipped for shorter stays or longer stays. 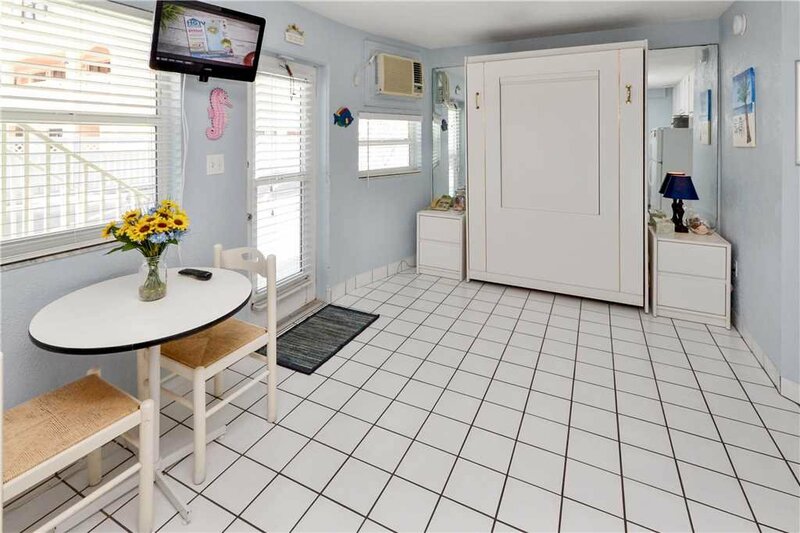 There is also an on-site laundry room. 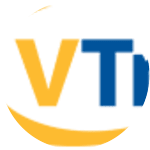 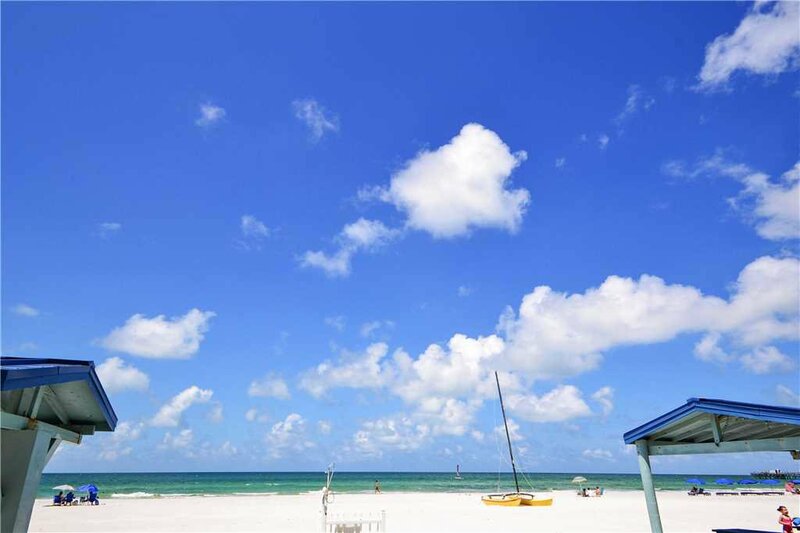 It is a charming, reasonably priced vacation spot just steps from the white powdery sand and pristine water of the Gulf of Mexico. 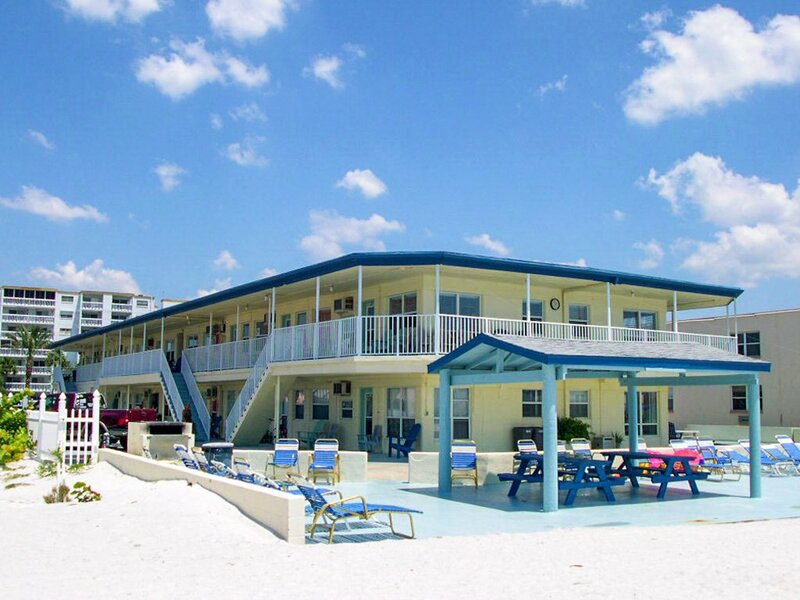 Here you will enjoy breathtaking sunsets, walks on the beach, and fabulous shelling. 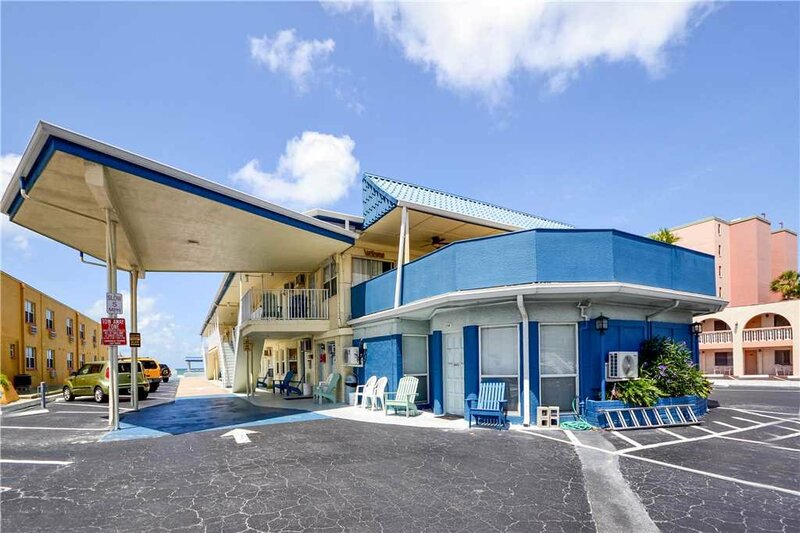 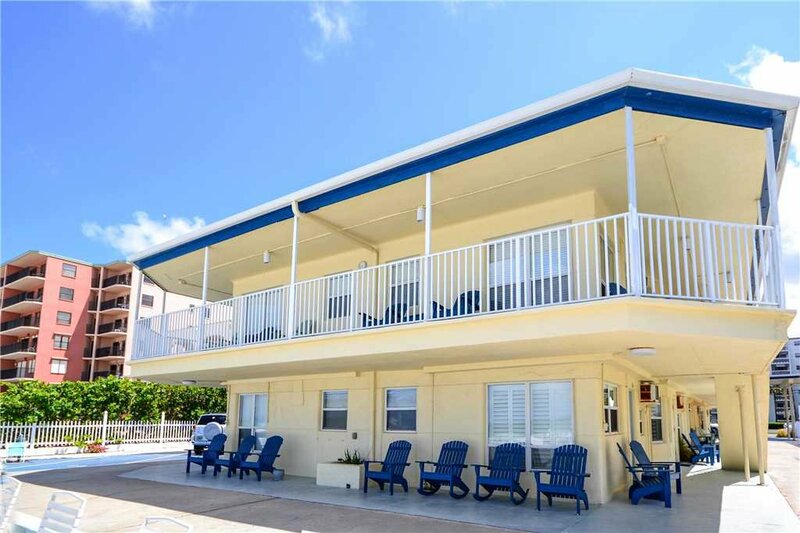 There is a large covered patio overlooking the beach with plenty of lounge chairs, a BBQ grill, and shuffleboard for use during your stay. 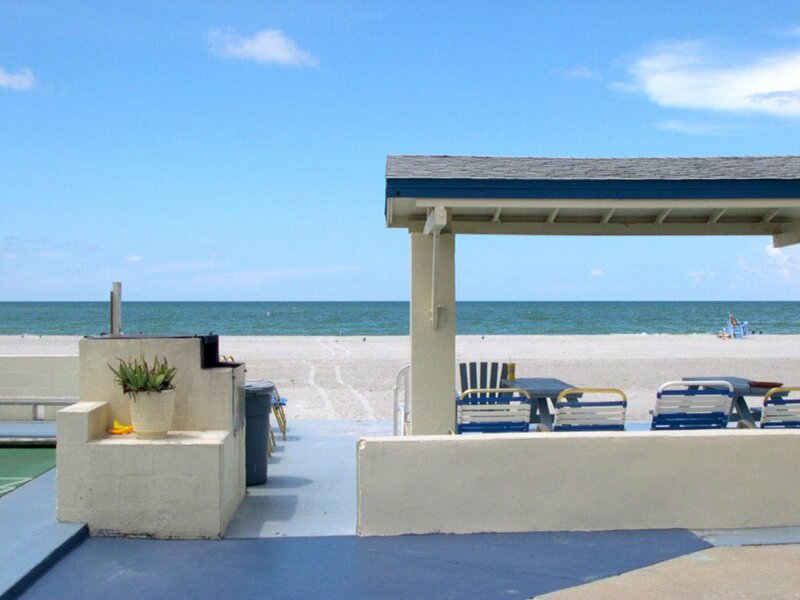 Colorful Adirondack chairs are casually placed around the property for reading, snoozing, or socializing with the unique community that is the Sea Rocket! 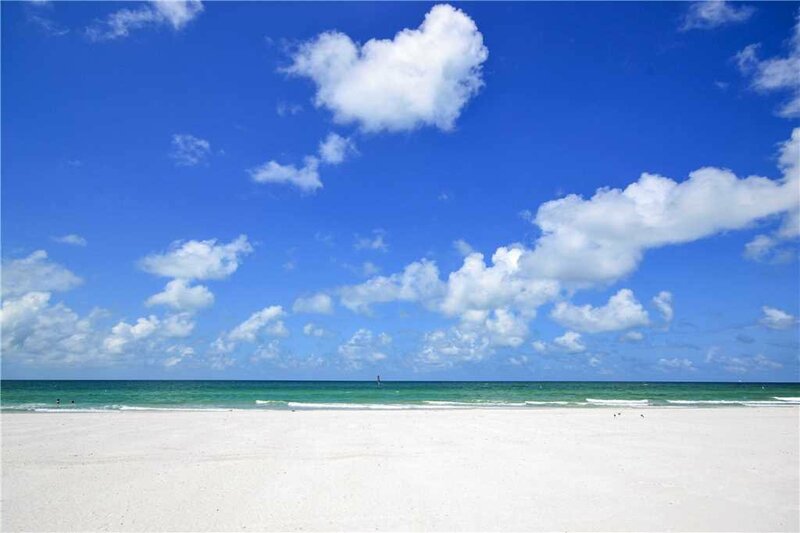 North Redington Beach borders Redington Shores to the north, Madeira Beach to the south, the Intracoastal Waterway to the east, and the Gulf of Mexico to the west. 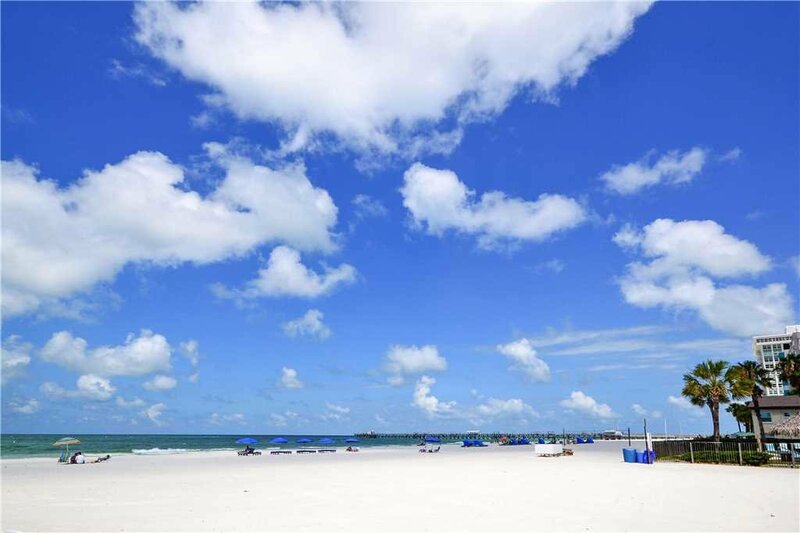 Redington Beach is primarily a waterfront residential community, and the town is approximately 1 square mile in size. 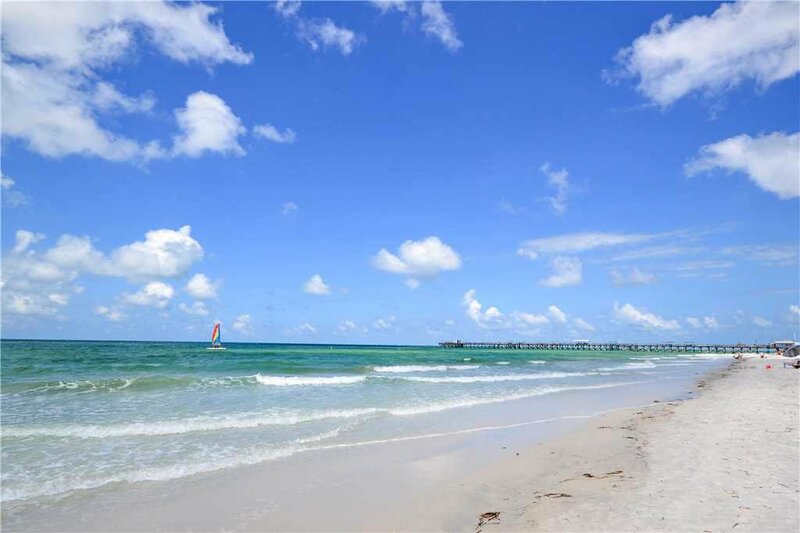 The town of North Redington Beach lies in the heart of the sun coast's beach communities halfway between Clearwater to the north and St. Pete Beach to the south. 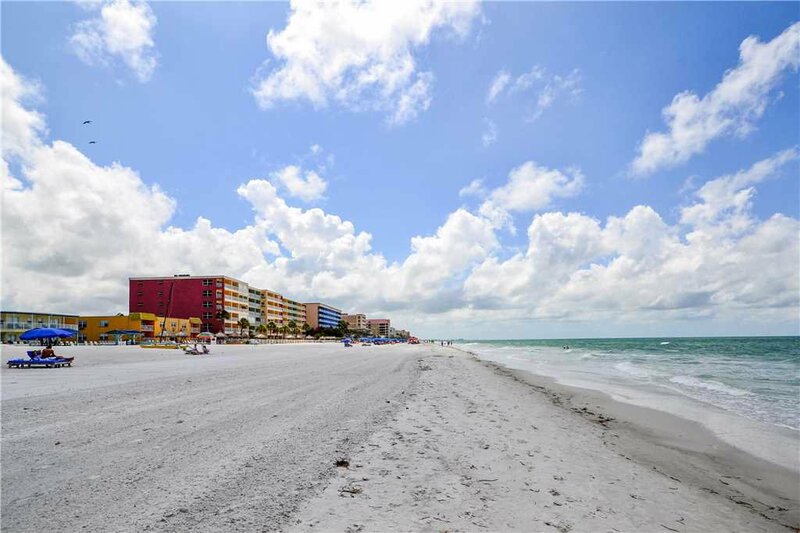 Redington Shores is just 30 minutes from Tampa International Airport and offers easy access to all major cities and attractions in the Tampa Bay area. 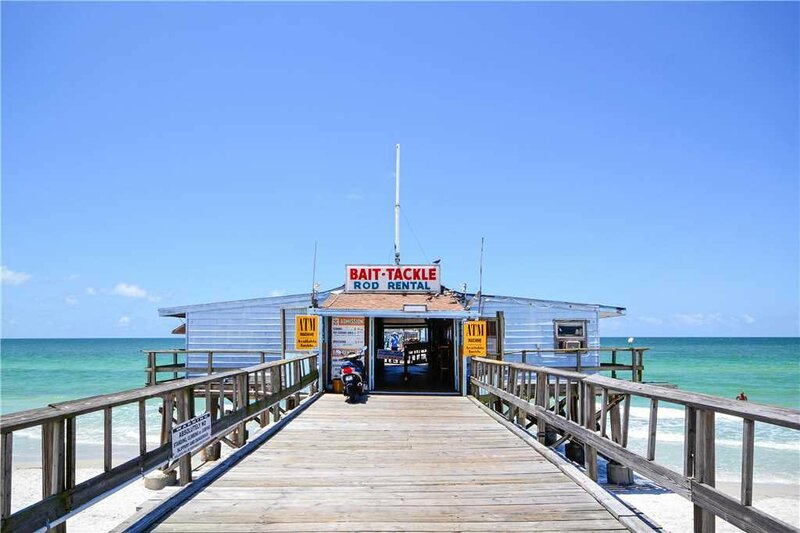 Along the main stretch of Gulf Blvd, which links all these beach communities, you'll find lots of popular and local breakfast, lunch and dining establishments as well as the Redington Long Pier for world-class fishing.